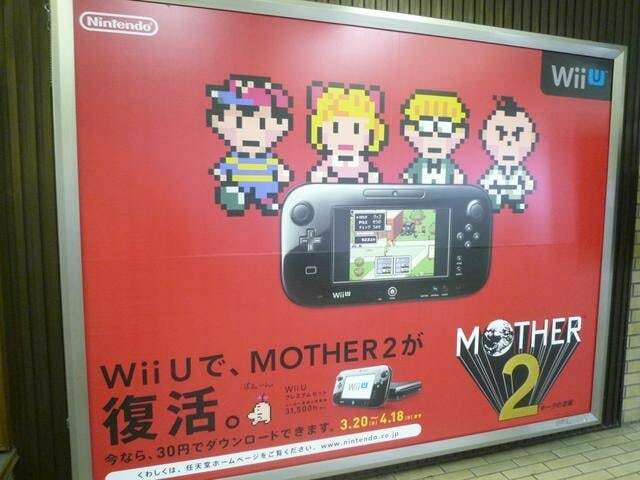 It appears to be an actual ad for MOTHER 2 on the Japanese Wii U Virtual Console, but it seems kind of like overkill to advertise something like that. Does anyone know if this is real, and if so, where it was located? I’d love to know more! 19 Comments to A MOTHER 2 Virtual Console Billboard Ad? 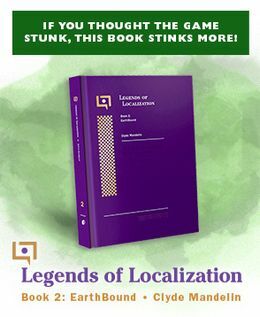 I guess, for some reason, the Japanese are treating it very greatly since there has not been a rerelease of Mother 2/EarthBound in a decade – not counting SSBB – and there has not been any Mother-related material in Japan since 2008 – SSBB – or MOTHER 3. This does not apply for the Americans or Europeans or Austrailians, for some reason. That is amazing and makes me very happy to see. That is amazing and makes me very happy. Appears to be in some station in Tokyo. Yeah these are in some train stations around Japan, saw it myself a few days ago. What would really make this billboard complete is if the screenshot they included was “THE” EarthBound screenshot. That would be great if i saw this driving down the highway. I wonder if “THE” EarthBound shot is different from “THE” Mother 2 shot…? That is, assuming Mother 2 has a shot like that. I assume the main point in advertising it is to advertise the Wii U itself. What does that 4.18 mean? April 18th? Another release date perhaps? It’s because it’s only 30 yen from March 20 to April 18 (30 days exactly). After that it will cost more. Actually, after that I think it’ll become unavailable for a while until the VC has its full launch later on.